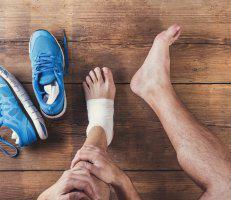 Since plantar warts tend to develop on weight-bearing areas of your feet, they can start growing into your skin, which can lead to severe foot pain. One of White Plains, New York’s top-ranked podiatrists, Mariola Rivera, DPM, of Aesthetic Podiatry & Sports Medicine Center, offers in-office wart treatments, so you can get fast relief. Schedule your wart treatment online today, or call the office to book an appointment. Warts that develop between your toes and along the balls of your feet — or any other areas of your feet — are usually caused by human papillomavirus (HPV). This viral invader can sneak into your skin in spots where you have the tiniest cut or abrasion. Although anyone of any age can develop foot warts, you have a higher risk if you’re younger — warts are common among teens — or if you’re older. Do foot warts cause pain? Not always. Usually, in the beginning, you start noticing small, fleshy bumps developing. These growths tend to have black pinpoint centers, which indicates that blood vessels have clotted inside (a clear sign of warts). 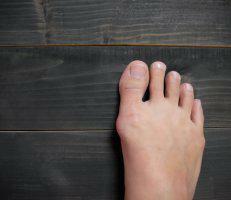 The more you continue walking on warts, the more likely they are to start growing into your skin. This can result in hard, thickened calluses forming over them, which can certainly start becoming painful and tender. Because warts can be difficult to treat and can even spread to other areas of your body, schedule an evaluation at Aesthetic Podiatry & Sports Medicine Center as soon as you start noticing a wart outbreak. Sometimes the best solution for getting rid of foot warts is minor surgery. This procedure, known as an electrodesiccation and curettage, begins with numbing your treatment area. Dr. Rivera uses a specialized electric needle to carefully cut away your warts and destroy the viral infection on the spot. Before your foot warts spread or worsen, get started on treatment at Aesthetic Podiatry & Sports Medicine Center. Click on the online scheduler to book your exam, or call the clinic directly.